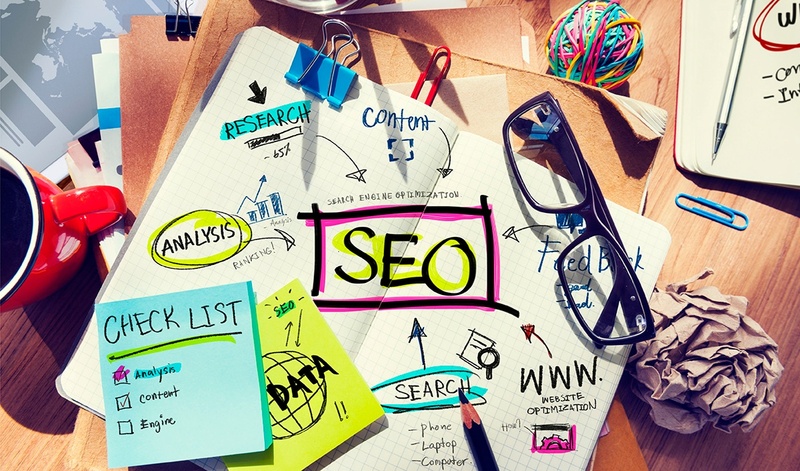 The importance of SEO for your company’s online content — both your web pages and blog posts — can’t be overstated. Getting ranked on search engines involves more than just writing great content and choosing the best keywords, however. It also involves optimizing images for SEO. Images add to the overall user experience of a web page. No one wants to stare down a lengthy block of text, and images provide a visually-appealing way to break things up. They also do a great job of telling your readers what the content is about without them reading a single word. Just as important: images can help a blog or web page rank higher in search engine rankings. Data gathered by Jumpshot shows that nearly one third of all Google searches happen in Google images. Without images on your site, your company will miss out on that search engine action. Backlinko spent time analyzing one million Google search results to see how images impact ranking. They found that visual content not only helps your site rank in searches for images, but content with at least one image ranked better than pages with no images at all. Using images in your content is about more than dropping in pictures. You’ve got to choose the right images — as well as know how to go about optimizing images for SEO. If possible, images should also be original. This is especially important on pages that are specific to your company’s “About Us” or “Meet the Team” pages. Taking your own photos adds an air of authenticity that you can’t get with stock photos, but if you must, using stock photos or images from sites like Flickr or Wikimedia Commons will work fine. Faster-loading pages rank better in terms of SEO, and huge image sizes can really slow your page down. If you upload a 2500 x 1500 pixel-size image to your site and only display it at 770 x 400 pixels, it will still load at the larger, original size. It’s important to size images to exactly what you need before you upload them. Although your website visitors will never see them, your image file names also play a huge part in SEO because they help tell Google what the images are. A file name like DSC4531.jpg or image1.jpg tells search engines absolutely nothing about what that image contains. File names are an excellent opportunity to take advantage of your target keywords. For example, an image that depicts online storage can become cloud-storage.jpg and so on. Alt text is another important consideration when it comes to optimizing the information around your images. This description is what’s displayed if an image isn’t available to the user or if they have a visual impairment and are using a screen reader. Alt text should be accurate, but it’s also another excellent place to use keywords if they’re appropriate. Image captions are a part of your content, so don’t ignore these juicy little opportunities to slip in a bit more information. Attention spans are short in this digital day and age, so your captions need to count. Along with headings and images, captions are one of the elements that will stand out for people who quickly skim your pages. Captions are also a great place to target keywords that need a bit of extra attention; make sure they’re relevant and natural or you’ll lose points for keyword-stuffing. By carefully choosing images and optimizing images for SEO, you’ll not only make your site more user-friendly and informative for visitors, you’ll also find your SEO rankings getting a boost as a result. Ready to learn more about optimizing images for SEO? Contact us today!